Maharaja Agrasen College, University of Delhi has a ZERO tolerance policy against sexual harassment. The Maharaja Agrasen College Internal Complaints Committee was constituted in 2015 according to norms specified in the Sexual Harassment of Women at Workplace (Prevention, Prohibition and Redressal) Act, 2013. The committee follows due protocol in redressal of complaints and works proactively towards increasing gender sensitization by organising lectures by Lawyers and other experts to disseminate the finer nuances of the Sexual Harassment of Women at Workplace (Prevention, Prohibition and Redressal) Act, 2013. 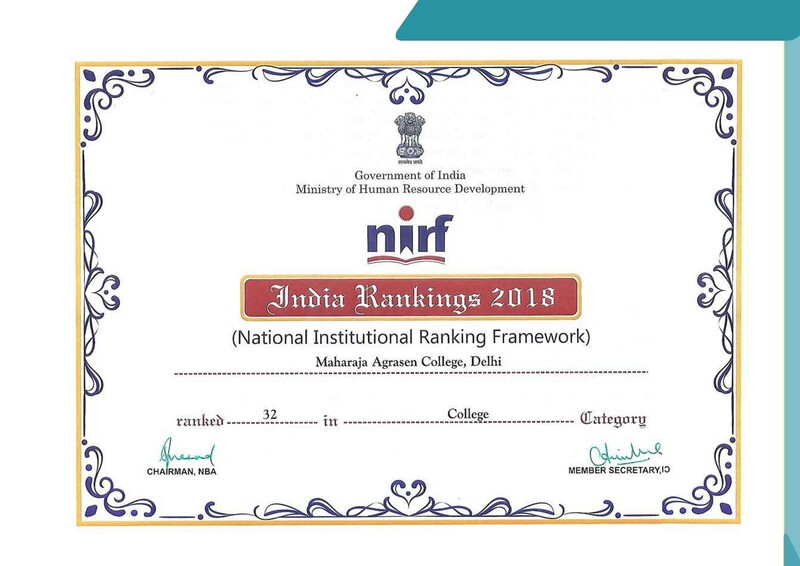 It also seeks periodic feedback from students and is committed to ensuring a safe environment for girls within the college. Last year, it also organised a 10 day self-defence workshop for girls in collaboration with the Special Unit for Women and Children, Delhi Police. 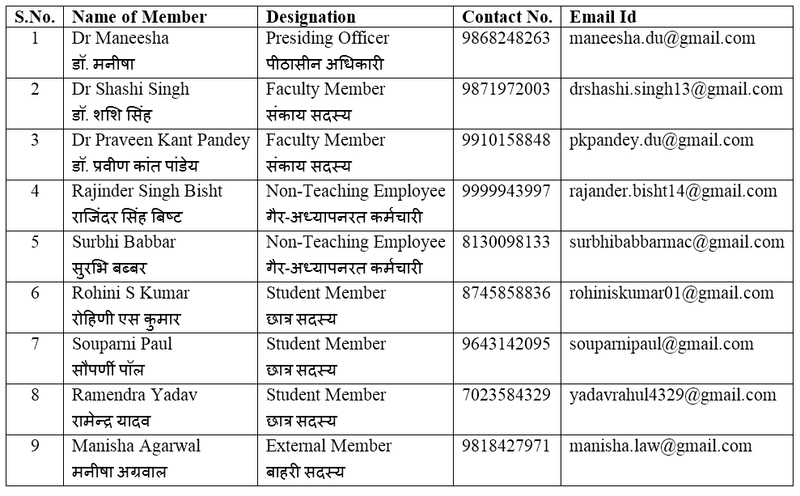 The Internal Complaints Committee comprise of the following members. Students must not hesitate in reaching out to the members of Internal Complaints Committee. Their contact details have been given below.